The club kodi pakodi sells for $7.99. Over cups of coffee, Rajesh Pudota and a few colleagues at Nestle Purina decided they wanted to do more than their day jobs. All of them had immigrated to the U.S. from Andhra Pradesh, a state of southern India. 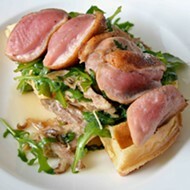 And that common heritage made the answer clear — open a restaurant highlighting the cuisine of their homeland. 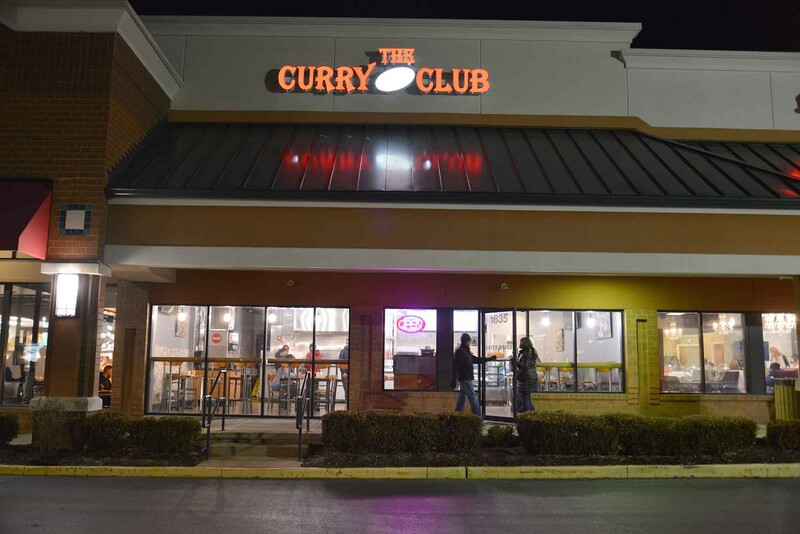 Thus the Curry Club (1635 Clarkson Road, Chesterfield; 636-778-7777) was born, designed to be "a fast food, takeout place for Indian food lovers," Pudota says. The Chesterfield eatery earns its name, with a variety of traditional curries made in-house twice daily, along with rice, three types of naan and the dosas popular in Andhra Pradesh. Like the curries, the naan and dosas are both made in-house by the Curry Club's chefs, as are the spices. The naan is cooked over coal flames in a tandoor oven, giving it "a special taste... You won't get that if you just cook that on top of a grill," Pudota says. Curry Club's lunch special features two types of curry, a choice of rice and naan wrapped in tin foil. The most popular item since the Curry Club's December 30 opening has been the lunch special — naan, two curries and rice for $5.99. 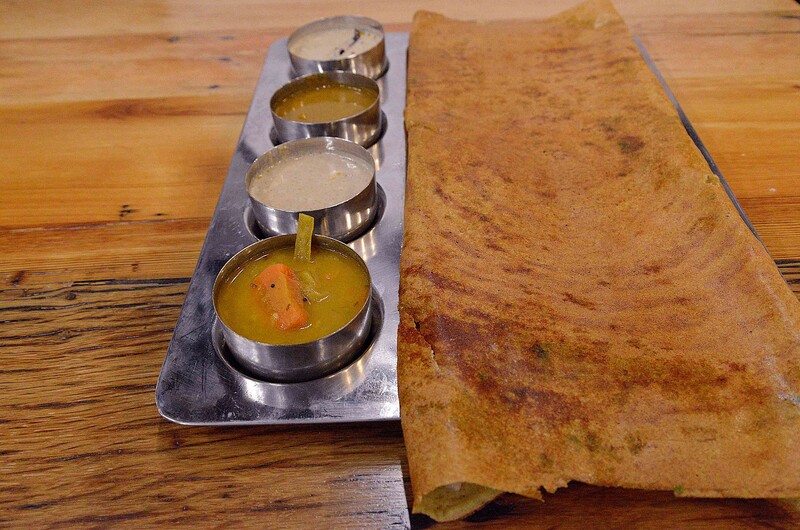 But the dosa, while not familiar to many Midwestern diners, has also proved a surprising hit. Made from rice flour and lentil, the massive thin pancakes are served either plain or with cheese or other stuffing, almost like a crepe. They're grilled just behind the counter in a steamy spectacle that often makes customers reconsider their previous order in favor of one. "We call it the dosa effect," Pudota jokes. A colorful array of traditional Indian drinks pair well with the fare. That includes mango lassi, a creamy, cold refreshment similar to a smoothie. 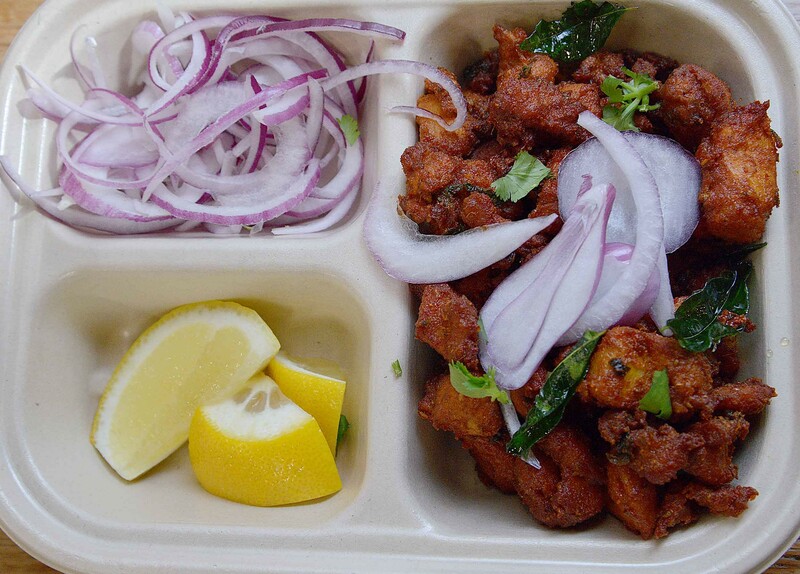 Some of the menu items are already popular in the U.S., but others Pradesh and his partners hope to launch into the mainstream. 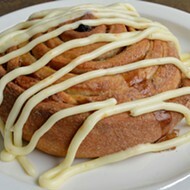 "Most of the items are famous back in India. There are some items that you won't find [here]," Pudota says. The dosa is a large pancake type batter made from rice flour and lentil. While Rangineni previously operated an Indian grocery called Bombay Bazaar, the group had largely had no experience in the food industry. 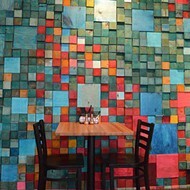 Venkat Kuchipidi, a restaurateur and friend of Pudota's partner Mallikarjun Rao Rangineni, helped design the menu. But while the Curry Club's owners are industry novices, they're intent on doing things right. Utensils and trays are stainless steel, to be washed and reused. 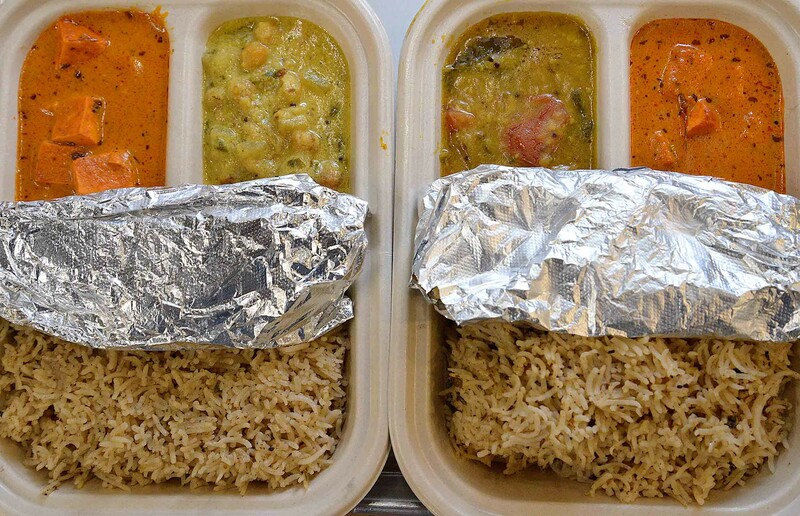 Takeout boxes and flatware are all compostable. "It costs more, but we want to help the environment," Rangineni says. The Curry Club also makes sure to source its meats and vegetables without MSG. So far, the reception has been overwhelmingly positive, Pudota says. Nearby office workers add to the lunch rush and families come for dinner nightly. With west county's growing Indian population, they may have hit on a winning formula: Remind some diners of old favorites, even while introducing others to new ones. The Curry Club is open weekdays from 11 a.m. to 2 p.m. and 4 to 9 p.m. On weekends, hours shift from 9 a.m. to 9:30 p.m.
Scroll down for more photos of the Curry Club. 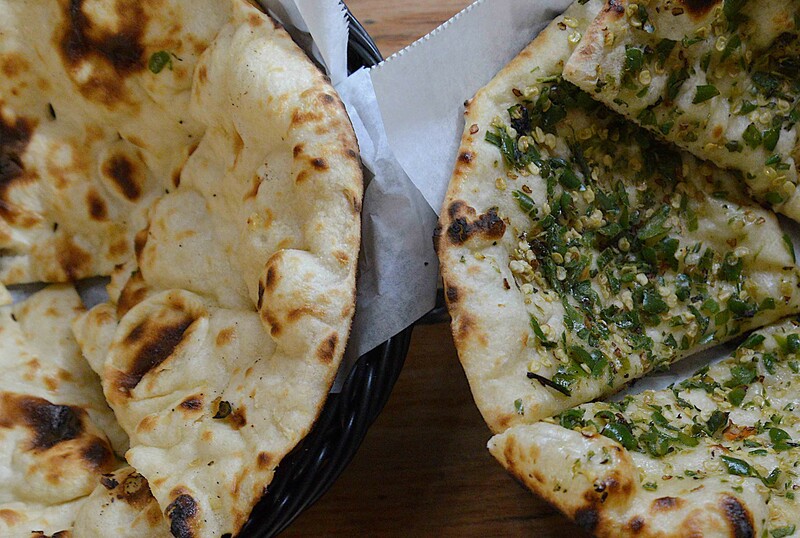 Naan dough is placed in a tandoor oven, giving it a distinct flavor. Customers order at the counter in an open space. Curry Club is on Clarkson Rd. by the Chesterfield Mall.